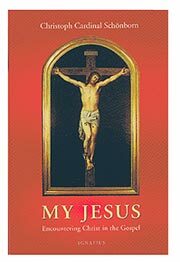 Encountering Christ in the Gospel | Excerpts from Cardinal Christoph Schonborn's "My Jesus"
Then said Jesus to the crowds and to his disciples, "The scribes and the Pharisees sit on Moses' seat; so practice and observe whatever they tell you, but not what they do; for they preach, but do not practice. They bind heavy burdens, hard to bear, and lay them on men's shoulders; but they themselves will not move them with their finger. They do all their deeds to be seen by men; for they make their phylacteries broad and their fringes long, and they love the place of honor at feasts and the best seats in the synagogues, and salutations in the market places, and being called rabbi by men. But you are not to be called rabbi, for you have one teacher, and you are all brethren. And call no man your father on earth, for you have one Father, who is in heaven. Neither be called masters, for you have one master, the Christ. He who is greatest among you shall be your servant; whoever exalts himself will be humbled, and whoever humbles himself will be exalted. This Gospel concerns, above all, people in high offices and leading positions, especially in the Church, but also in politics and in other official positions. It is a Gospel that concerns me as a bishop. It frightens and encourages me at the same time. It shows the dangers that lurk in the offices of the Church, and it shows simple ways to avoid these dangers. He who preaches a lot must especially be on guard that there is not too great a difference between word and deed, between sermon and life. He who teaches a lot must take great care lest he demand from others what he is neither ready nor able to live up to himself. Anyone who is in a high-profile, high-visibility position is in danger of gradually acquiring an ever-greater taste for being in the spotlight in every place, at every festival, at every religious celebration, and-one must add nowadays-in the media in all its forms. Jesus does not criticize the fact that there are people who are appointed to preach and to teach or that there are exalted offices and that these are associated with certain positions of honor. What he reproaches the scribes and Pharisees with is their pursuit of recognition, their desire to be seen, their pushing themselves to the fore, and their craving for honor and making a good impression on others. In a very poor plantation village in Sri Lanka, I was received with unimaginable honors. For days the first visit of a cardinal had been prepared: garlands, the long road neatly and painstakingly covered with fresh sand, flowers, music, everything that these poor people were able to muster. When we finally reached the churcha wretched building-the Jesuit Father, who had been living there, impoverished, for forty years among his parish children, whispered in my ear: "Do not believe that these people did all that on account of Christoph Schönborn. They do it for Christ." Do not believe you are elevated above others because of your office: "You are all brothers!" The common ground we share in God counts for more than the distinctions in offices and honors: "You have one Father, who is in heaven." Great and small, famous and unknown: we are all children of the one Father. He who does not forget this will remain simple and modest even in the highest positions. He will understand, above all, that there is only One who is truly great, before whom we are all small, before whom all our differences, which we consider so important, are trivial. He who keeps this in his heart will not exploit a high office for himself but will view it as a position of service. The only ones who are truly great are those who, even "way up", keep serving and are thus close to their fellowman. I know our Pope to be such a person, which is why I do not shy away from calling him "Holy Father". Anyone who is a servant to such an extent is truly a father to many. "Then the kingdom of heaven shall be compared to ten maidens who took their lamps and went to meet the bridegroom. Five of them were foolish, and five were wise. For when the foolish took their lamps, they took no oil with them; but the wise took flasks of oil with their lamps, As the bridegroom was delayed, they all slumbered and slept. But at midnight there was a cry, 'Behold, the bridegroom! Come out to meet him.' Then all those maidens rose and trimmed their lamps. And the foolish said to the wise, 'Give us some of your oil, for our lamps are going out.' But the wise replied, 'Perhaps there will not be enough for us and for you; go rather to the dealers and buy for yourselves.' And while they went to buy, the bridegroom came, and those who were ready went in with him to the marriage feast; and the door was shut. Afterward the other maidens came also, saying, 'Lord, lord, open to us.' But he replied, 'Truly, I say to you, I do not know you.' Watch therefore, for you know neither the day nor the hour." The three Sundays that yet remain until Advent turn our eyes to the final things of life and the world. Some day we will have to give an account of ourselves. The pilgrimage on earth comes to an end for every individual in the hour of death, for mankind as a whole in the Final judgment, on "Judgment Day". Not to prepare yourself for this, to be unprepared, is unwise, foolish. The two parables on this and the following Sunday deal with that. We used to have "bridesmaids" in earlier times as well. They awaited the coming of the groom with the bride. If he was delayed-which was not unusual with the traffic conditions of those times-they had to be able to keep their lamps burning long enough. That is, they had to make provisions. If the bridegroom suddenly came late in the night, it was too late to get supplies. This had to happen earlier, with foresight and wise planning. The parable has different levels of meaning. First, there is the very simple and practical sense of the virtue of prudence. He who neither plans, thinks ahead, nor is prudent can expect bitter surprises in an emergency. This is just as true for the family budget as it is for a business and even for the state as a whole. But Jesus obviously has even more in mind. It is about more than just the requisite prudence in the affairs of the world. The image of the wedding banquet is talking about the kingdom of God, the world to come, and it talks about the things we have to do and the things that we have to refrain from doing to keep from losing the eternal life of heaven. Our life on this earth is a time of preparation. Some day, we do not know when, this will also mean for me: "The bridegroom is coming! Go out to meet him!" For in the hour of death, as we believe, the moment has come for going out to meet God. But then it will be too late to get another supply of oil quickly for my lamp. I must be ready and have made provisions already. Only before my final hour can I do something about itafter that, it is too late. Jesus says this in various parables in order to make us aware of how precious the time is, how we must make good use of it to be "ready at all times". This also explains a section in this parable that shocks many people. When the foolish "bridesmaids" ask the wise ones: "Give us some of your oil", they receive a curt reply: "Then there will not be enough for us and for you." What has happened to sharing; where has brotherly love gone? Jesus seems to want to say exactly this here: The time for sharing and brotherly love is now, here and today! Anyone who constantly puts it off, who does not provide for it daily, will in the hour of death find it too late to obtain the oil of good deeds quickly. This is therefore the ultimate point of this parable-and of the next: Be alert, for you know neither the day nor the hour. So live in such a way that you are always ready to die, to go before the face of God. Who is Jesus Christ? People have been asking this question for 2000 years. The search for the answer begins with the four Gospels, but how are they to be understood? Sunday after Sunday, Cardinal Christoph Shönborn, one of the leading candidates in the recent papal election, explains the Gospel in understandable words. By following the Gospel of Matthew over the course of a year, there emerges a comprehensive picture of Jesus presented in this book. Includes beautiful illustrations from various epochs of Christian art history. Cardinal Christoph Schönborn is the Archbishop of Vienna, Austria. He was the general editor of the Catechism of the Catholic Church, co-author (with Cardinal Ratzinger) of Introduction to the Catechism of the Catholic Church, and the author of God's Human Face and Living the Catechism of the Catholic Church: The Creed (Vol. 1), The Sacraments (Vol. 2), Life in Christ (Vol. 3), and Paths of Prayer (Vol. 4). 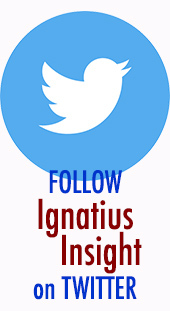 If you'd like to receive the FREE IgnatiusInsight.com e-letter (about every 2 to 3 weeks), which includes regular updates about IgnatiusInsight.com articles, reviews, excerpts, and author appearances, please click here to sign-up today!